Avoid chewing on hard objects: Ice cubes, popcorn kernels and the pits of fruits like apricots and peaches are some of the foods that can crack the surface of the enamel, leading to much more serious dental problems. Drinking sugary drinks is another harmful habit which can lead to dental problems. The acid and the sugar in soft drinks are a terrible combination, and your teeth will thank you for not sipping and slurping on these drinks! Don’t use your teeth to open bottles: Though tooth enamel is tough, it can only take so much. Opening soda bottles and beer bottles with your teeth is abuse that will eventually wear down enamel. Also, when you use your teeth to open items like plastic bags, your teeth grind together and this will lead to wear and tear in the long run. Remember, your teeth are not an all-purpose tool. Stop grinding your teeth: If you are a teeth grinder, you must start working on it right away to get rid of this habit. There are certain behavioral reasons or stress and anxiety that might cause grinding. There are also cases where teeth grinding results from having crooked teeth. Treatment for teeth grinding can range from anxiety treatment to the use of mouth guards. Watch what you put in your mouth: Decrease intake of food and drinks which are high in caffeine, sugar and alcohol. Never chew on pens, pencils or any other object that is not food. Keep your teeth clean, and in the long run, you will thank yourself for taking a little bit of extra care. Use the right toothbrush: Choose the right toothbrush. Although many of us have the misconception that harder bristles are better, the best practice is to consult your dentist and ask him to recommend a toothbrush that suits you. Brush, floss and use mouthwash: The magic trio of flossing, brushing and rinsing is an age old formula which has worked well for generations. Doing these three things regularly will help in maintaining your oral health. You should brush twice a day, floss every day and rinse after every meal or snack. These simple steps will go a long way in keeping tooth decay at bay. 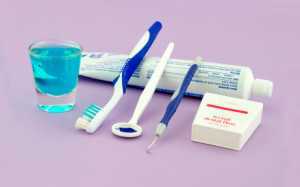 Fluorinate: If you are on medicines which lead to drying of the mouth, you might need a little bit more fluoride than usual. The best suggestion is to see a dentist to get a recommendation on the amount of fluoride you need. Eat healthy, drink in moderation and stop smoking or chewing tobacco: Eating a balanced diet will keep your teeth healthy. Smoking is a dangerous habit which increases your risk of getting dental problems and oral cancer. By giving up any form of tobacco – be it through smoking or chewing, you can reduce your chances of cancer. Make sure to consume alcohol in moderation, as binging is a strict no-no if you want to maintain dental health.